The Featherweight class is not a lecture-demo but a hands on workshop. Students will learn (by actually doing) how to take apart the Featherweight, grease the gears,lubricate the machine,adjust the belt, service the tension unit, put everything back together and test sew on the machine. An illustrated handout is included for taking notes and for future reference. Many common parts will be available for purchase if necessary. Of course Dave will be there to assist you. 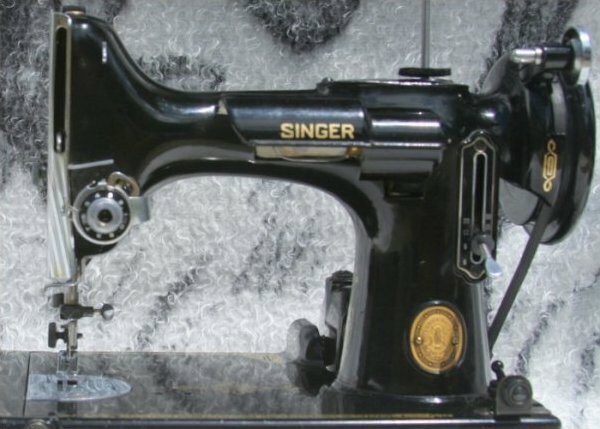 At the end you may go home with dirty hands but you will have a clean, smooth running Singer 221...the Featherweight. Requirements: Supply List: A working featherweight, Bobbin case and bobbin, Light colored or pastel thread, Long screwdriver, Short screwdriver - NO Phillips, Fabric scissors, Pen for taking notes, Lithium grease or Singer lubricant, Sewing machine oil (Bernina or Singer).